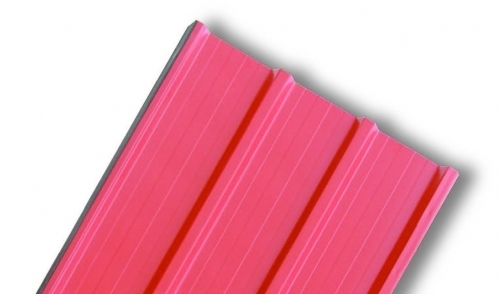 ECOPANEL RL are compound thermal insulated panels, made up of two formed, galvanised and pre-painted metal sheets bonded with insulation hard polyurethane foam cores. The shapes of the external sheets are of trapezoidal type, while the internal sheets are lightly formed (linear type). They are mainly used for building roof claddings but can also be used for facade claddings as well.